Organización Latino-Americana aims to fill a void on the South Fork, especially among residents who need to see a pediatrician and have limited or no access to bus or other transportation. An East End Latino advocacy organization is launching a free transportation program to help residents get to pediatric and other doctor appointments. The nonprofit Organización Latino-Americana of Eastern Long Island will focus its efforts on transporting those who have appointments to see pediatricians, but rides would be available to any Latino resident who does not qualify for Suffolk County Accessible Transportation, as well as non-Latinos who need assistance in some circumstances. The rides will be available in Southampton and East Hampton towns on Monday, Wednesday and Friday through April, said Minerva Perez, the group’s executive director. No starting date has been set yet and the schedule may shift. Advocates said the service is needed on the South Fork, where county bus service is sporadic and where it can take hours to travel short distances. Or, residents may be undocumented or unlicensed and thus avoid driving, Perez said. “The fear around transportation is real,” she said. Two donations will allow the nonprofit to start the program. Laura Solinger and her husband, Steven Muth, of Sag Harbor donated their 2005 seven-seat minivan, and an anonymous donor gave $15,000. 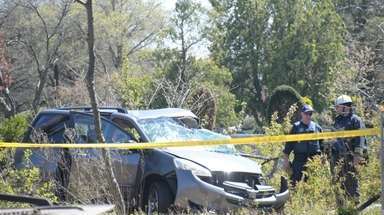 That money paid for vehicle insurance, registration and the hiring of a driver, Perez said. Solinger said she was inspired to get involved with Organización Latino-Americana after hearing Perez speak at the private Hayground School in Bridgehampton, where her youngest child is a student. 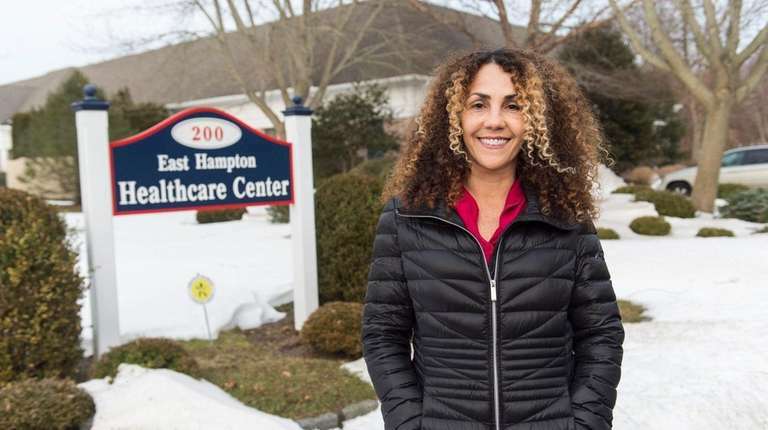 Byrony Freij, a Spanish-speaking therapist who offers counseling at East End Pediatrics in East Hampton, has seen the challenges the Latino population faces in traveling to get medical treatment. Some households have only one car, usually in use during the day, she said. Sometimes children will miss school because they must be dropped off early for their appointment. She also pointed to the difficulty public transit poses for mothers taking their newborns to pediatrician visits when they are still recovering from childbirth. The trip from Springs to her East Hampton office, normally a 15-minute drive, can take more than two hours by bus, with much of that time spent waiting for transfers, she said. “It’s a huge relief,” Freij said of having a van available. “I’ve mentioned it to some of my patients who have been eagerly waiting for something like this to come along. 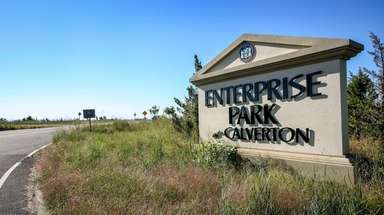 But it’s a shame that it has to be a nonprofit that is bringing this forth” rather than a government agency, she added. Legis. Bridget Fleming (D-Noyack) said although she is happy to see Organización Latino-Americana provide the service, she hopes the county can adjust its bus routes in the future to better serve the community. 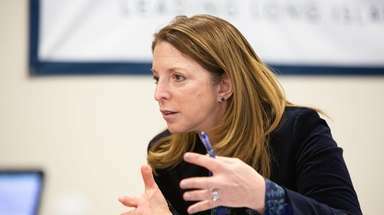 Suffolk County cut eight money-losing routes last year, including three on the South Fork, and bus routes haven’t been changed in three decades, she said. Riders can call Organización Latino-Americana at 631-899-3441 to schedule rides or to learn whether they are eligible for the program.